Upcoming Dates - All Events start promptly at 7pm. These events have become our favorite pastimes. Don't get us wrong, we love the fancy Michelin tasting-menu just as much as the next food enthusiast but who could deny the joys of drinking quality craft beer mere feet away from the source? We find the relaxed atmosphere of a brewery tasting room to be the perfect setting to share our creative energy with our guests, and theirs for that matter. Bread and beer (mead) have been the longest running food and beverage pairings in the history of man (OK, maybe after water) we want to keep that tradition going. The food we offer is more than just your shmear of butter on a slice of bread. I like to remind our supporters that we are cooks first and foremost. 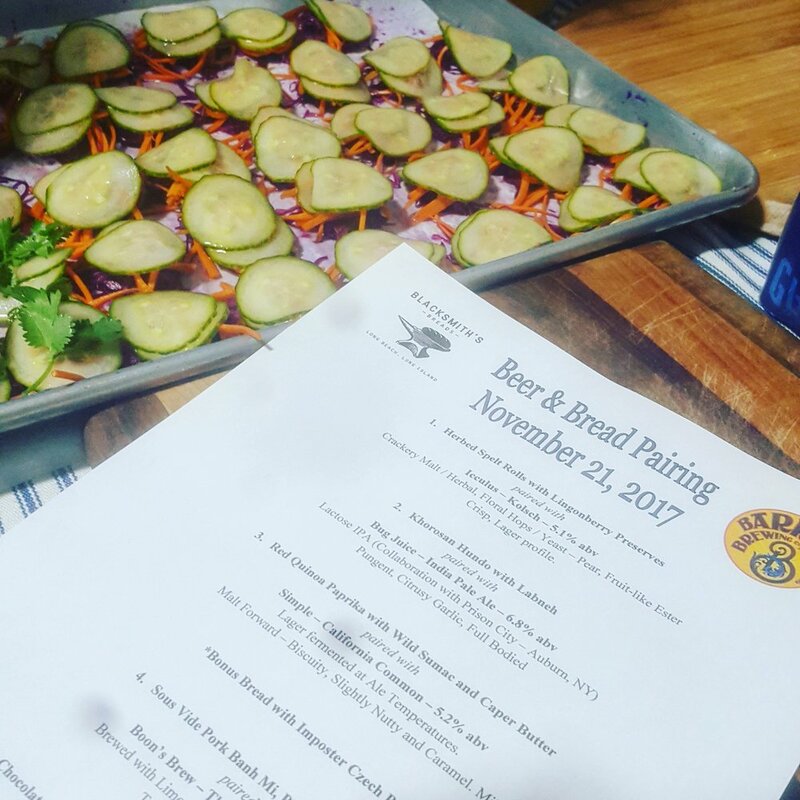 Each tasting is a unique menu, crafted to pair well with Barrier Brewing Company's delicious changing beer menu. To date, we have not repeated a dish once. Head to the Barrier Brewery Tasting Room and ask any of the friendly Beer-tenders to help you sign-up today! They are located at 3001 New Street, Unit A2, Oceanside, NY 11572.